Do you read Pinch of Yum? If not, do yourself a favor right now, and take a moment to bookmark Lindsay's food blog. It's packed with recipe success stories; many of them crockpot, easy to execute, and delicious to devour. These Korean BBQ Burritos were no exception. We ate them twice last week, and I'm not one for repeating meals too often. 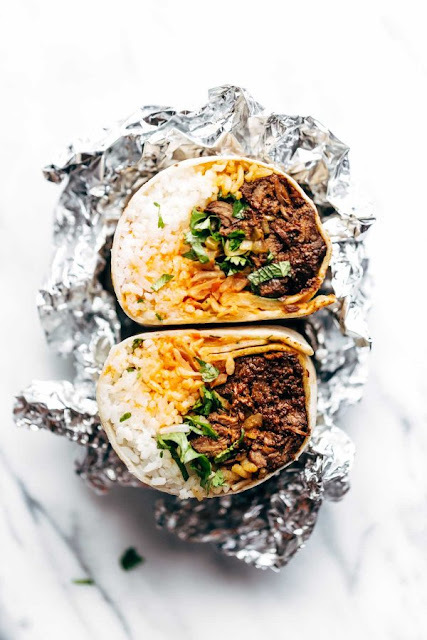 If you need further convincing, the meat slow roasts all day to gustatory perfection, and once you pack your tortilla full of rice, cilantro, kimchi, green onions, and Sriracha mayo - wowza that's one heck of a burrito! Try them. You won't be disappointed. "What would you do if you weren't afraid? 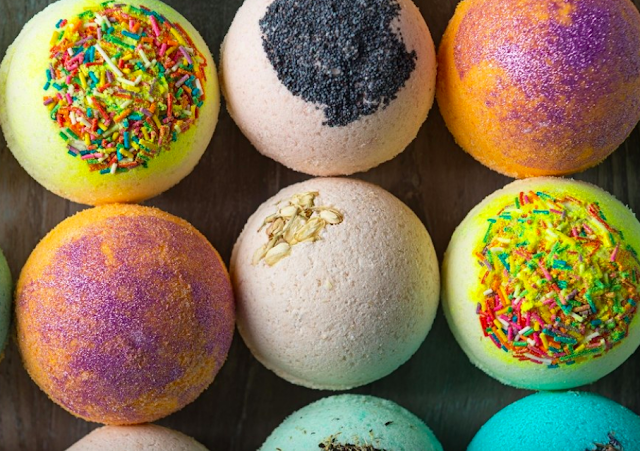 Bath Bombs: Do or Don't? Do you use bath bombs? The bath bomb trend kind of exploded a few years ago with brick and mortar store fronts like Lush toting their brightly colored bath bombs available in all the colors of the rainbow. While I don't take baths often, I do enjoy a leisurely soak after a hard workout or a long, exhausting day. But then I wondered...what's actually in a bath bomb? Typically, it's a mix of fizzy ingredients, colorants, salts, sometimes essential oils, or surprises like bits of rose petals or glitter. The reason it breaks down in water is the sodium bicarbonate in the bath bomb reacts with citric acid releasing carbon dioxide gas. Very similar to what happens when you drop an Alka-Seltzer tablet in water. Though it does make sense to be wary of bath bombs with colors you don't see in nature, or foreign items like glitter, sprinkles, or shimmer. Colorants and these "surprises" can serve as skin irritants, especially if your skin is sensitive. 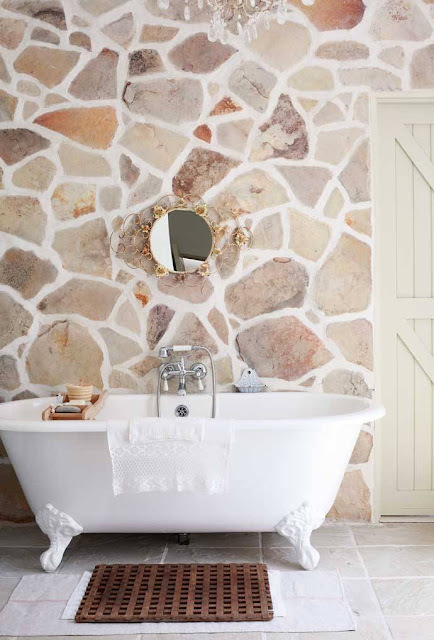 My go-to bath products are usually Dr. Teal's foaming bath with epsom salts in lavender or Young Living bath bombs in stress away (an essential oil blend that's a pleasing scent of lime, vanilla, and copaiba). These products are both clean, fragrance-free, and straightforward with their ingredient lists - no additives, colorants, or artificial fragrances allowed. Do you follow Chrissy Teigen? Sports illustrated model turned cookbook author, her debut cookbook came out in 2016 to rave reviews, and her sophomore cookbook, Cravings Hungry for More is just as appetizing. I've always loved reading cookbooks cover to cover, and this one is an enjoyable read. Teigen's personality resonates throughout, each recipe is marked by wry, witty, often self deprecating, and hilarious commentary. 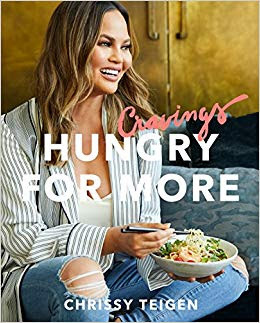 Her food captions and blurbs alone indicate she doesn't take herself or fame too seriously, and I appreciate the blend of down home, kick back and nosh kind of recipes. I I made her recipe for Chicken and Dumplings last week for dinner, and while my kids were extremely skeptical of dumplings in soup, my husband and I thought it was delicious. The cookbook is organized by sections; breakfast, soups, sandwiches, dinner, snacks, Thai mom, and my personal favorite, "potatoes and their friends," a girl after my own heart. Recipes that had me salivating were the crispy buffalo smashies (potatoes), grilled eggplant with crispy shallots, jerk lamb chops with sweet + salty banana rice, coconut short rib curry, and of course, the everything bagel cream cheese breakfast bake. If any recipe is going to make me return to dairy - pretty sure it will be that one. This cookbook should be read with a knife and fork, because you'll want to dig right in! "Count my blessings like stars in the sky." Let's talk lipstick, shall we? Did you know that many makeup items contain heavy metals? Do you know what the headliner of the heavy metals category is? Lead. Yes, lead. Gulp. Now, remember, companies are not intentionally adding heavy metals to makeup, but rather these are typically contaminants that are inadvertantly brought along with both mineral and synthetic ingredients used to give products color. The FDA conducted a study of 400 lipsticks in 2007 for the Campaign for Safe Cosmetics, which found small increments of lead in the majority of lipsticks tested. The FDA also claims these are of minimal risk to people as lipstick is rarely swallowed. Well...did you know, the average woman swallows seven pounds of lipstick in her lifetime? SEVEN POUNDS! While there are some guidelines and restrictions limiting the use of lead in color additives used in cosmetics, there is no FDA limit defined for lead in cosmetics. Ultimately, this has been left to companies to create their own heavy metal standards which is terrifying, as many do not subscribe to safety as a #1 priority. Okay, now that I've given you some facts - some good news. There are companies that test all color products for heavy metals. 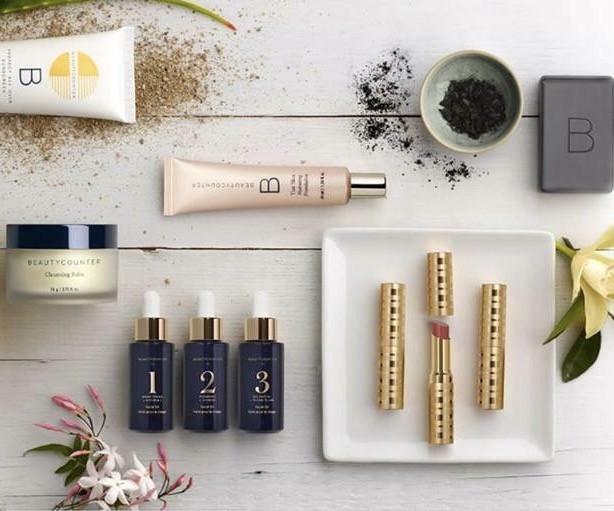 For example, during development, Beautycounter sends its cosmetic formulas to independent labs to test for 12 heavy metals. They work with suppliers to do their best to avoid contaminants, and keep heavy metal levels at a non-detectable level - which is significantly more screening than most companies do. 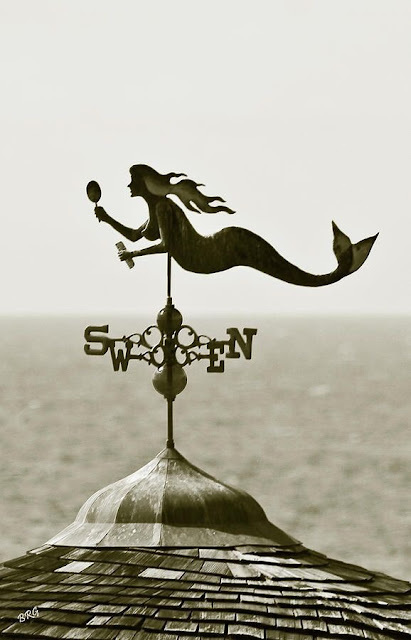 Remember, there are no FDA restrictions on what the limit should be for ppm heavy metals in cosmetics at present. Some food for thought for the next time you're in the market for a lipstick. This one is currently always in my purse. + I've always been a fan of old-fashioned correspondence and this lovely article was simply the icing on the cake - there truly is power in writing and receiving thank you notes! + this family costume idea is genius! + these two guys doing a michael jackson cover on the cello is insanely good! + ever thought to style your fall outfits after seasonal molly moon ice cream flavors, I don't know about you but vegan plum crisp sounds pretty delightful! I recently checked out Diane Sanfilipo's Practical Paleo cookbook for the library, and my mind is blown! This is one of the most comprehensive Paleo resources I've ever seen. It is beyond a cookbook, it gives a thorough explanation of of how eating a Paleo diet benefits numerous lifestyles and medical conditions. It gives suggestions on lifestyle changes, and a meal-by-meal plan for beginning your journey to clean eating. I perused the book cover to cover and I barely scratched the surface. Anyway...I'm all about Diane's methodology, and since I've jumped on her bandwagon, I decided to start bookmarking recipes, among which included Thai Green Curry and Lime Chicken. The marinade is savory, tart, and packs a citrus punch. We left it in the broiler a bit longer to crisp up the skin for extra crunch. 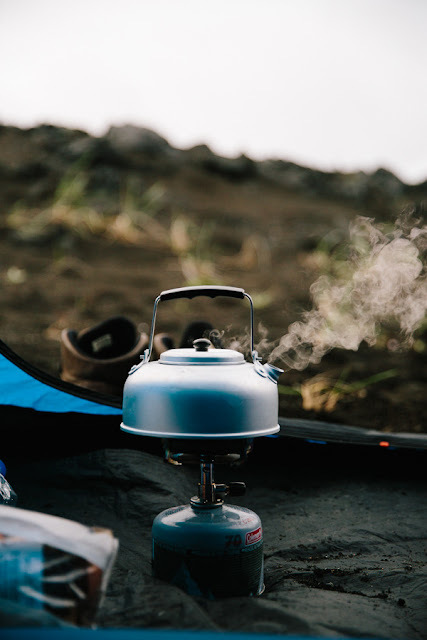 Eaten with our favorite coconut rice and tamari-roasted broccoli, I think it's official we've added a new favorite to the dinner rotation. What do you make when you have an abundance of browning bananas in October? Well...after googling "pumpkin banana bread," and deciding it's a legitimate thing, that's what! Why have I never tried this combination before!? I used the Pioneer Woman's recipe, because she's proven to have a pretty good track record, so why not? Oh, and I added a handful of chocolate chips for good measure. Again, because...why not? 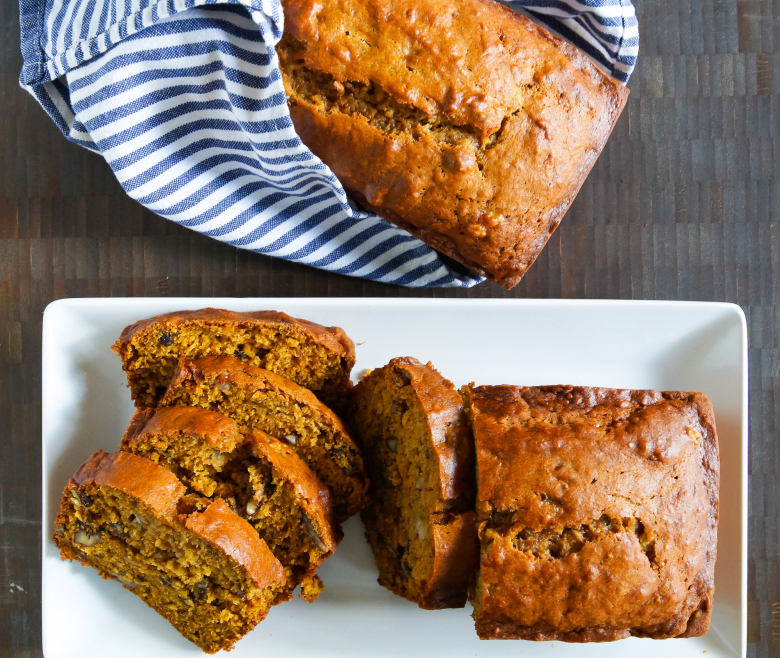 It's not quite as nutmegy or clovey as my usual go-to pumpkin bread, but it still retains the flavors of fall plus the added moist density of banana bread. While perusing Nigella Lawson's At My Table, I came across a recipe for Beef and Eggplant Fatteh,. I was unfamiliar with the word "fatteh, but intrigued by the picture looked quite delicious. 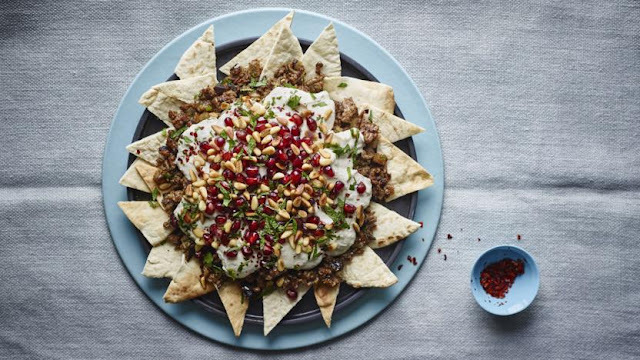 The base is pita bread, layered with cumin-coriander ground beef and eggplant, garlicky tahini-yogurt sauce, red pepper flakes, pomegranate seeds, toasted pine nuts, and shredded mint. Even my husband who is an eggplant skeptic, devoured it before he even recognized eggplant as a primary ingredient. Now, we ate this for a date dinner - so kids didn't have an opportunity to weigh in with their particulars, but in the future, I fully intend to brand this as Middle Eastern nachos to win them over. 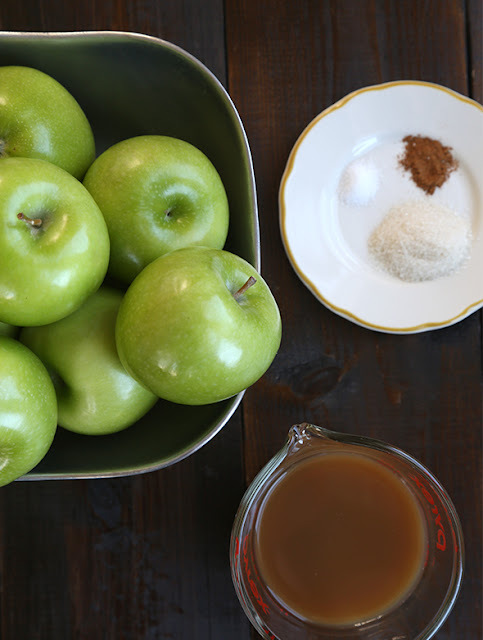 I've tried lots of applesauce recipes - and this recipe is by far the favorite. Maybe it's the tartness of the granny smith apples or the richness of the apple cider, or the dash of salt just for good measure, but it's tart + sweet + smooth all at once. Plus, it couldn't be easier to throw together. God bless the crockpot. 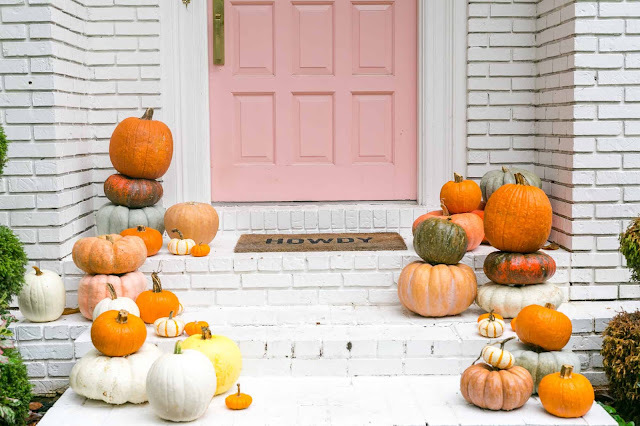 Hands down, it's a fall favorite. Eating this with oatmeal on a crisp fall morning feels like an indulgence, I hope you get a chance to try this for yourself this season. Check your labels. 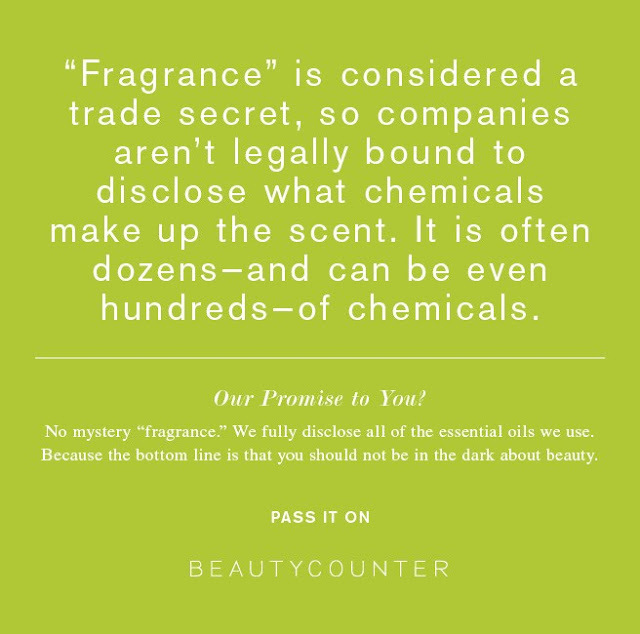 If you see the word "fragrance" listed as an ingredient on your shampoo, conditioner, lotion, detergent, and cleaning product labels - beware! This is the loophole that companies can use to hide chemicals in your products. "Fragrance" could mean 5 chemicals, it could mean 10. It could mean 100. And often, it really is 100. People think there's a safety net, an FDA or similar unit to prevent this from happening. The truth - there are currently NO rules or regulations to prevent this from happening. Beautycounter is trying to change that. For more information, check out this 2015 documentary, Stink, by Jon Whelan, a single dad who made it his mission to expose this fragrance loophole after purchasing pajamas for his young daughters online, that when opened, reeked of chemicals. This prompted him to investigate what chemicals companies would put on children's pajamas and what he found is rather frightening. You deserve to know what you're putting in and on your body. I have a lot of cookbook crushes these days - after months of lingering in my library queue, it seems that all the new cookbooks arrived ready for pickup all at once. So gear up friends, this is likely to be the first of many new cookbook crush posts! 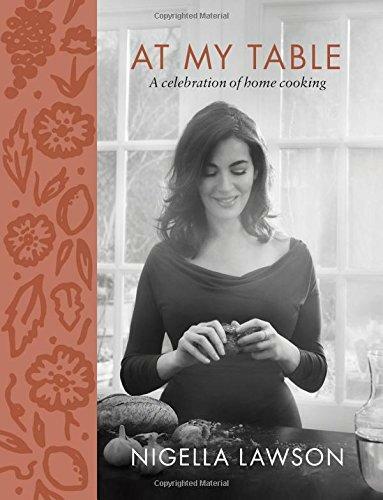 At My Table is the most recent cookbook by Nigella Lawson. Truth be told, it's the first cookbook I've ever read by her, despite the fact that she's quite popular on the food scene and has a smattering of bestselling cookbooks over the past 15 years. It might be high time I add her previous publications to my library queue, as every recipe in At My Table is pure gold! It's packed with comforting, healthy-ish that dishes are hearty, flavorful, and relatively easy to concoct. In addition to the fact that they don't require too many unusual ingredients, always a plus. Pretty much every page sound utterly satisfying and delicious! Thus far, I've made the beef and eggplant fatteh and bookmarked include turmeric rice with cardamom and cumin... So many good recipes, so little time. Christmas wish list cookbook perhaps? 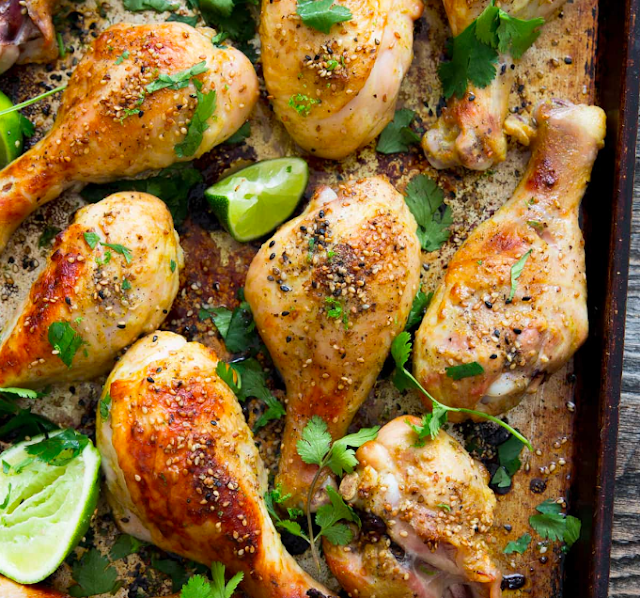 Dinner last night was delicious and soooo incredibly easy, I must share with you! Honey Cilantro Lime Salmon courtesy of Creme de la Crumb. The original recipe calls to bake the salmon in foil, but skipped this step because foil + food is not good for our bodies. But easy peasy, parchment substituted as a nice non-stick base just fine. The flavor was delicious! I wasn't sure how honey would balance out with the fish + herbs, but it was subtle and gave it a pleasant sweetness. Though truth be told, my kids were quite skeptical of the "green stuff" on top of their salmon. 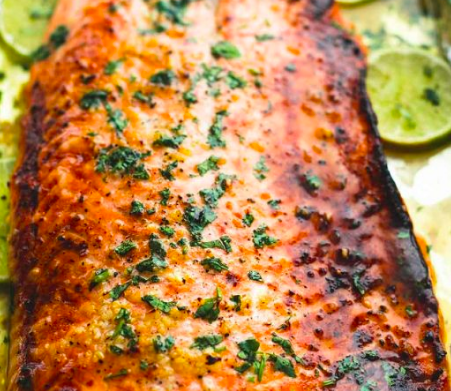 We typically bake our salmon with a Sriracha, sesame oil, and olive oil marinade, and apparently this was too visually out of left field, protesting abound! However, once we sold that there was honey in the sauce, it got at least one child willing and on board to eat the dinner. Celebrate those small victories when you see them, amiright? October is breast cancer awareness month. Despite this video's cheeky title, I found this tutorial to be extremely helpful and informative in guiding women in performing thorough self breast exams at home. A good friend and former colleague of mine was was just diagnosed with Stage II breast cancer after finding a lump during an at-home self breast exam. She's only 36. It's never too early to make this a part of your routine Pass it on. Hello...hello. It's been quiet on the blog for two weeks as we've been volleying back and forth between sicknesses. First a stomach bug for my kiddos then an intense cold + cough for me. Capped off with a lot of concealer + makeup for our family photos this morning, and phew, I'm spent! 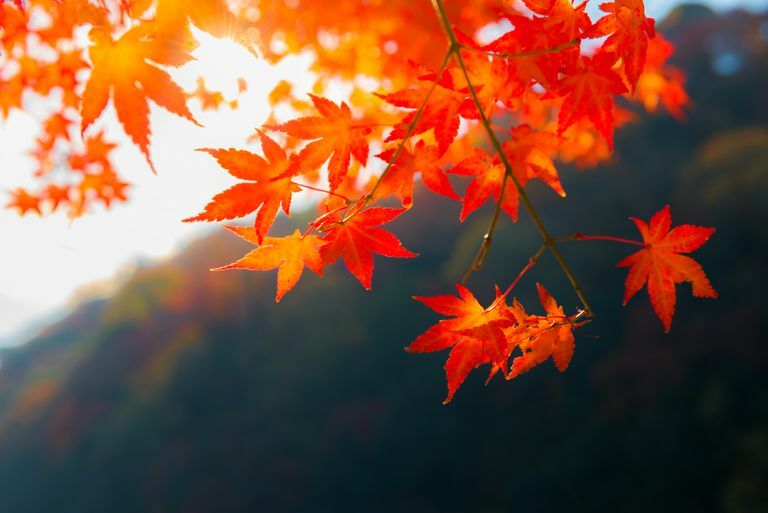 What are you up to this lovely fall weekend? "The facts remain unsettled, and Ford’s testimony may not prevent Kavanaugh’s confirmation. But it was a powerful warning that wealth, status and a record of professional accomplishments were no longer enough to override credible allegations of sexual assault, no matter when they occurred. To young men, it was a message that drunken violence could shadow them all their lives. 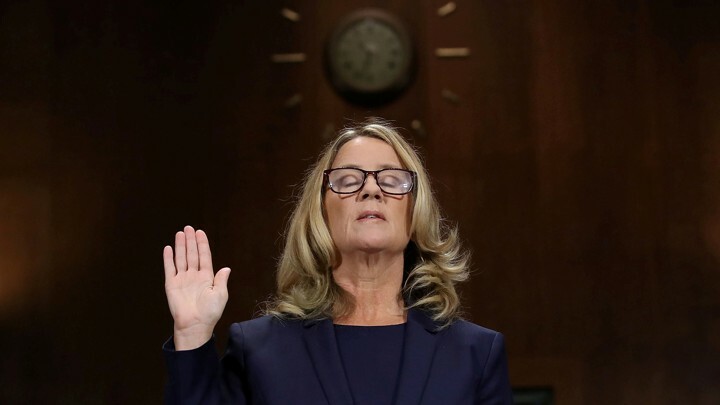 And to victims, Ford’s testimony was an invitation to speak up, no matter how powerful the accused, no matter how long ago the attack. People will listen, the country seemed to reassure them. We will believe you." + this really struck a cord with me, do you usually find yourself behind the camera? I definitely do. + considering this wall color for our family room - what do you think? + do you have a family charter? 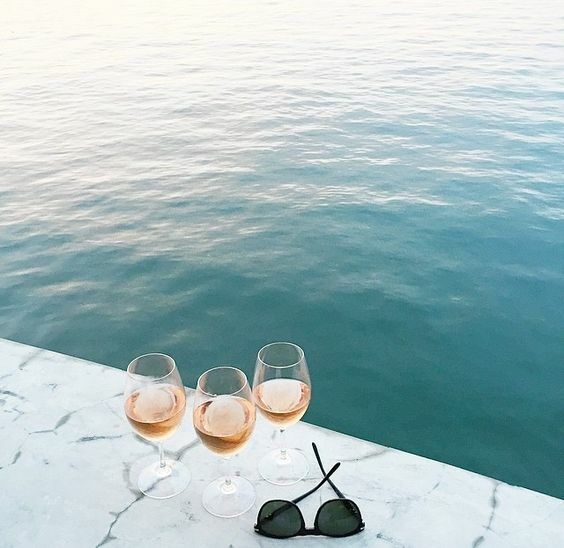 + daydreaming over this airbnb in santorini, can we go tomorrow? 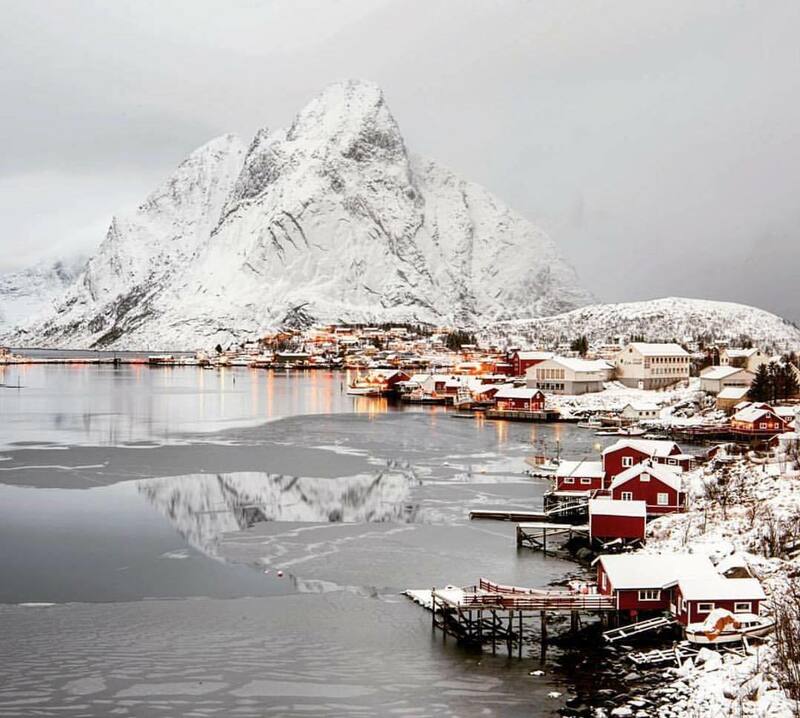 "'No regrets' doesn't mean living with courage, it means living without reflection. To live without regret is to believe you have nothing to learn, no amends to make, and no opportunity to be braver with your life." After falling down the Rachel Hollis rabbit hole after listening to her outstanding book, Girl, Wash Your Face, I learned that she started her career as a food blogger. Who knew?! On her website, The Chic Site, there was one of those attention grabbing posts that I always fall for "12 quick and easy dinners," and this meal in particular caught my eye, sausage and mushroom polenta. I don't remember growing up with polenta, but after having a life changing polenta + pesto dish at a friend's wedding August 2016, I decided it's time to make some room for polenta in my life. 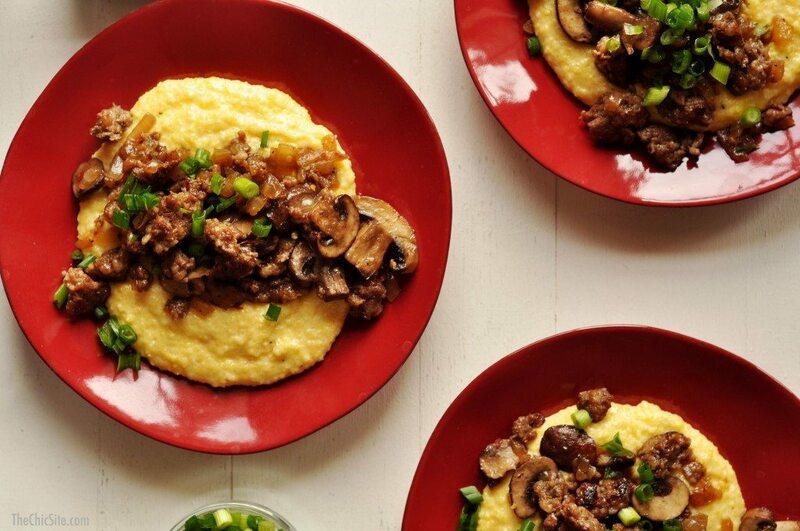 As for a kid-friendly meal, one loved the "cheesy rice," the name under which we sold the polenta, another dug the mushrooms, so they kind of a la carted the meal, but hey, we can't win them all! Though I should note, it was a total hit with the husband! Ultimately, quick and easy it was - definitely bookmark worthy for another time.